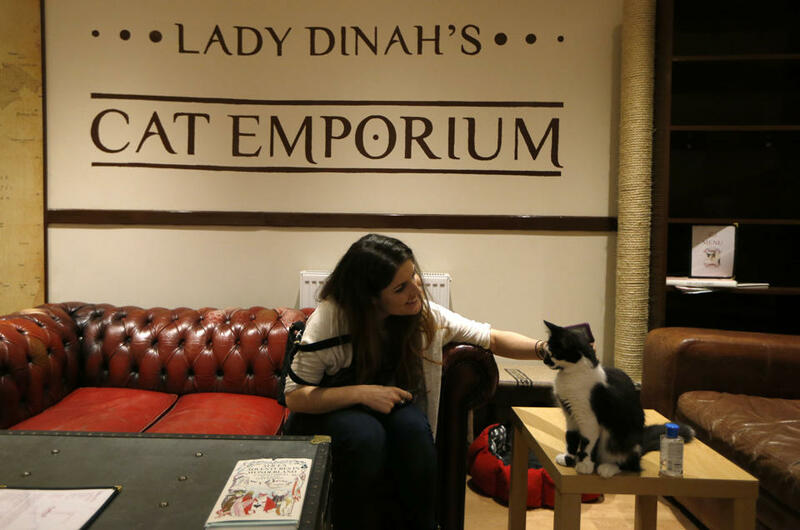 Cat cafes iz popping up everywhere! Ah, the world iz finally understanding how cool and awesome we iz. Cat cafes iz becoming all the rage! 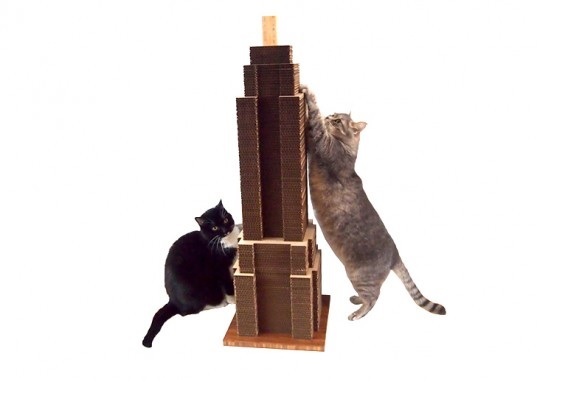 Cat cafes first took off 10 years ago in Japanese cities, where many humans live alone in cramped high-rise apartment blocks that don’t allow pets (LAME). Making feline friends became popular therapy for lonely or anxious workers. Think about it humans, you get to curl up with some tea, grab a book, and haz a cat or two just curled up in your lap. This sounds like heaven to me. 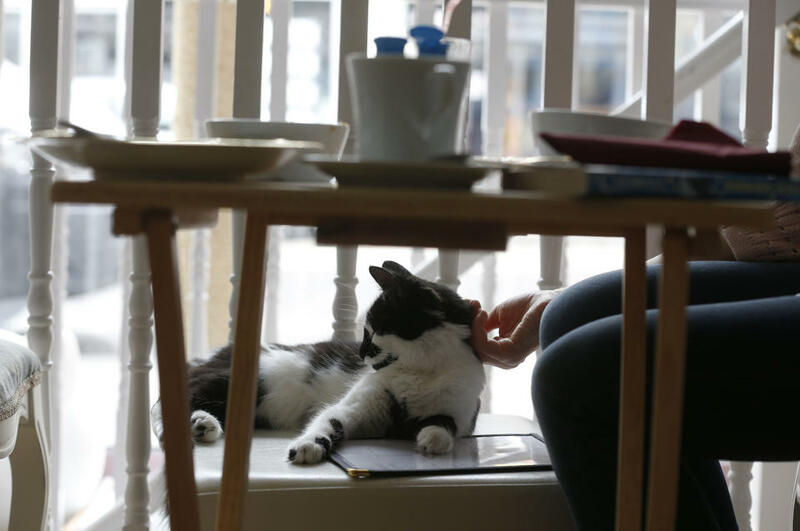 Many of the cafes offer a home to the cats, shelter, food, and just all around good company. The staff iz usually trained by animal behaviorists and the cats get regular breaks from people when we haz important cat stuff to do (sleeping, staring blankly out windows, being awesome). More are being planned throughout Europe, including France and Austria. 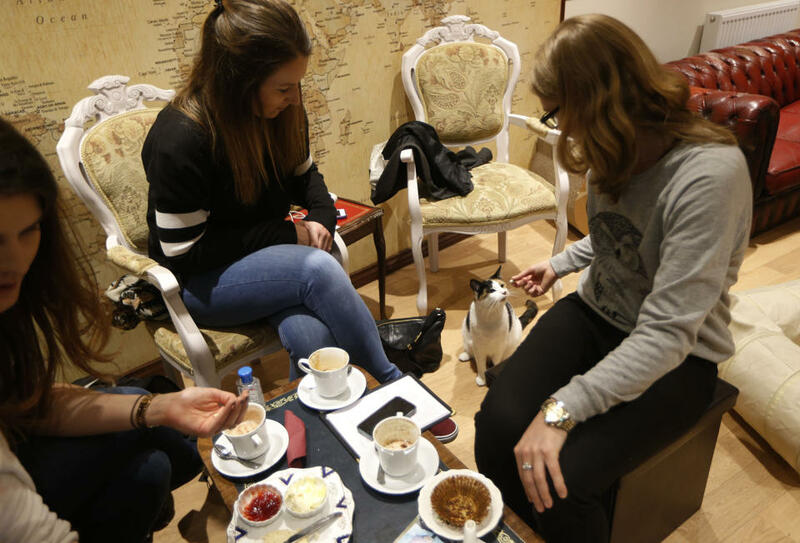 But don’t worry Americans, the first cat cafe is set to debut this week in New York! Hazah! Time to take a trip to the big apple, sip some coffee, and relax. The race to cat cafes iz getting tighter, az San Francisco, Oakland, LA, Vancouver, and Toronto iz ready to be awesome and open their own. 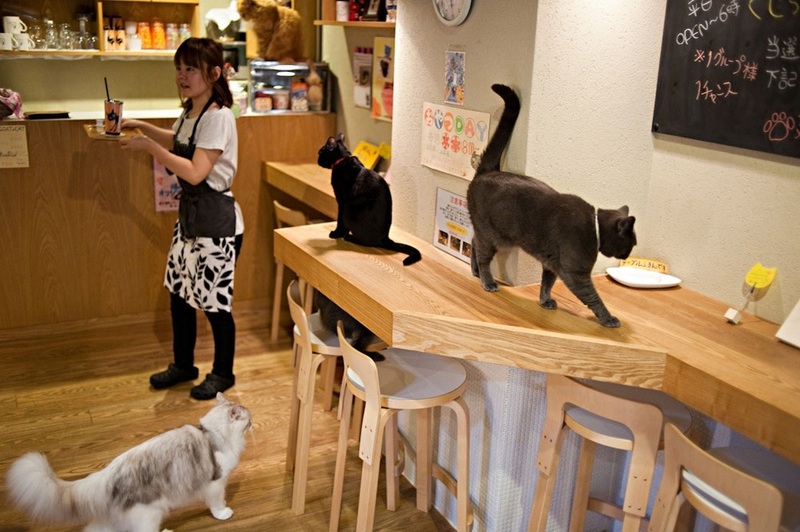 Hmmm… cat cafes… this could be a good new meeting spot for strategy and ruling the internets.